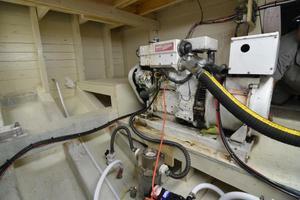 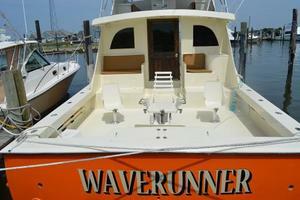 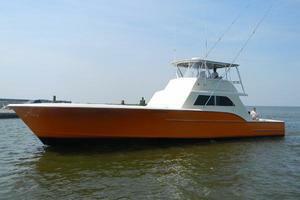 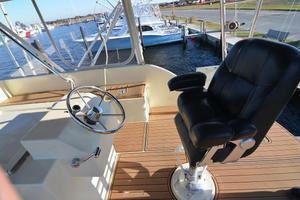 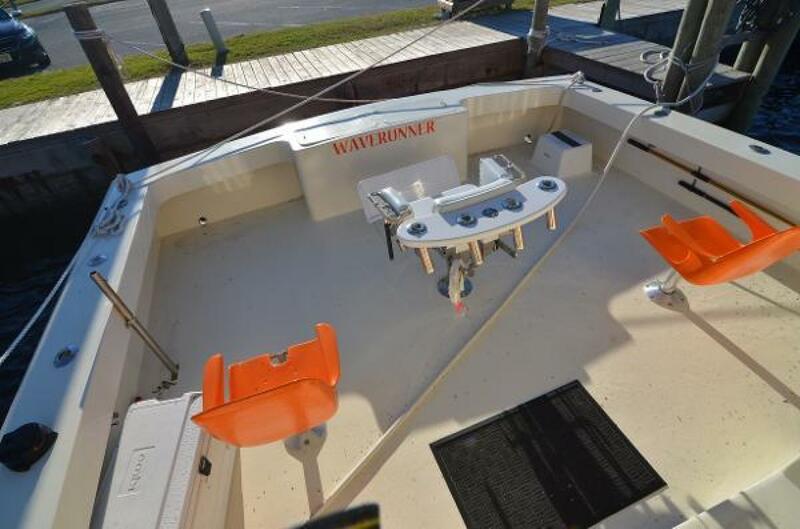 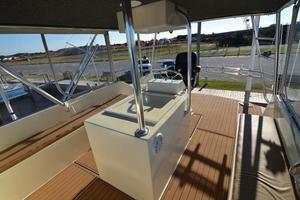 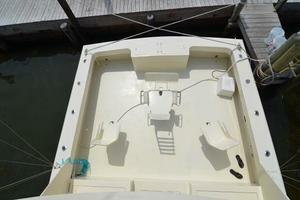 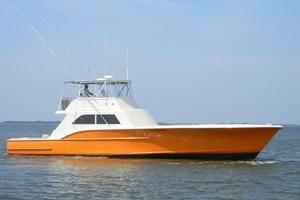 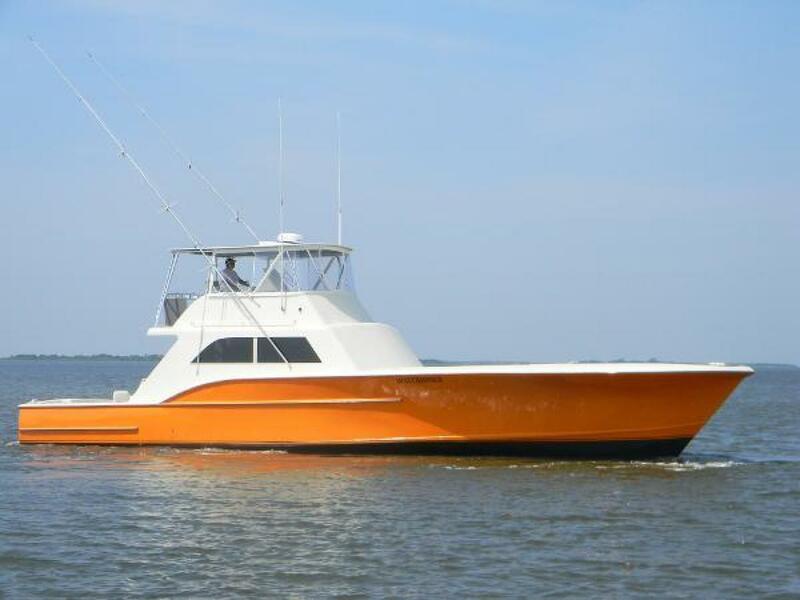 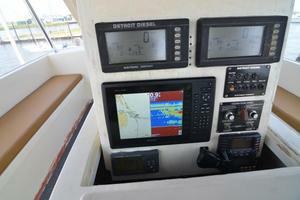 Custom Carolina charter boat built new over the winter of 2013/2014 for the 2014 Oregon Inlet charter season. 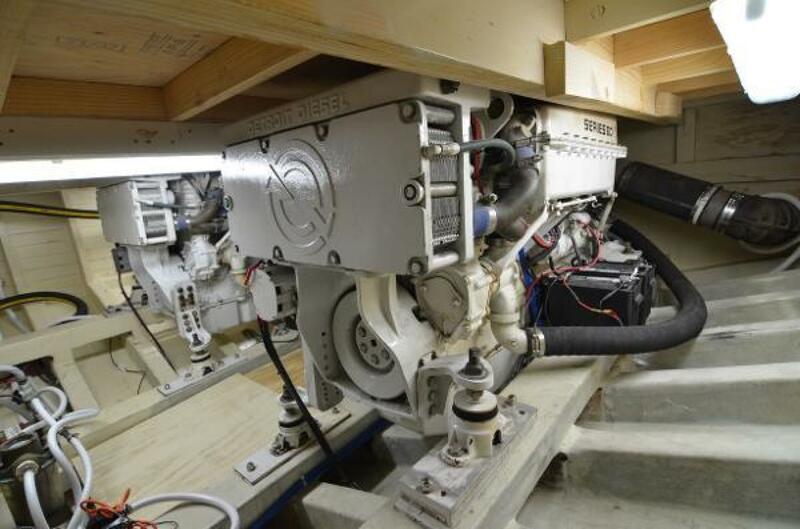 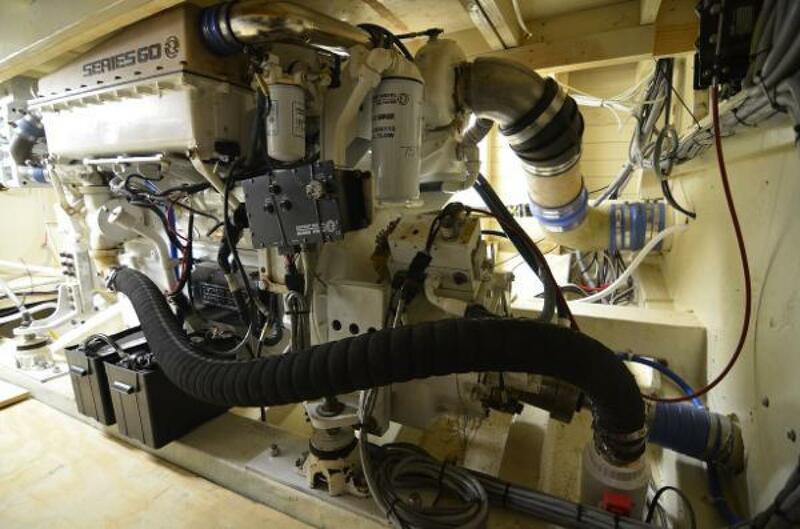 Built for the rigors of the toughest inlet and fishing grounds in the world, this plank over frame 62 has glass and west systems epoxy over the entire hull and exterior. 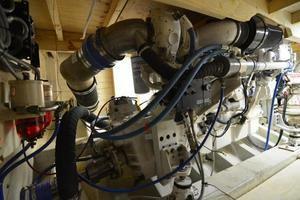 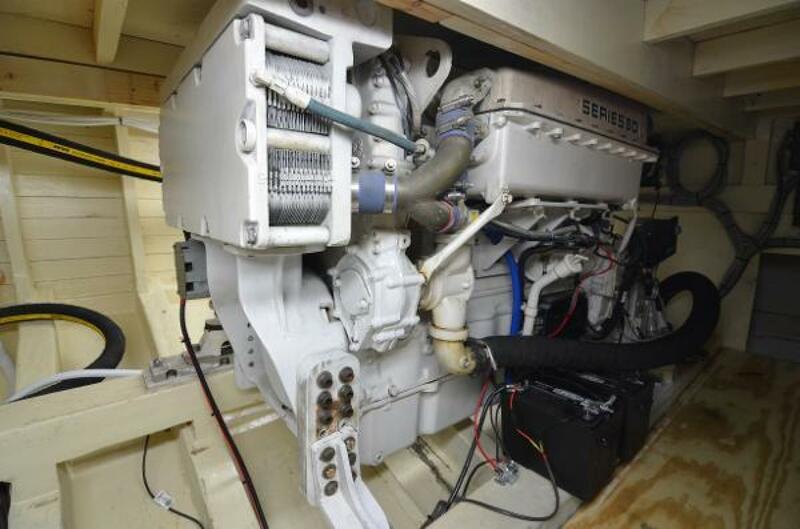 Powered by a pre-owned set of Series 60 Detroits at 825hp. 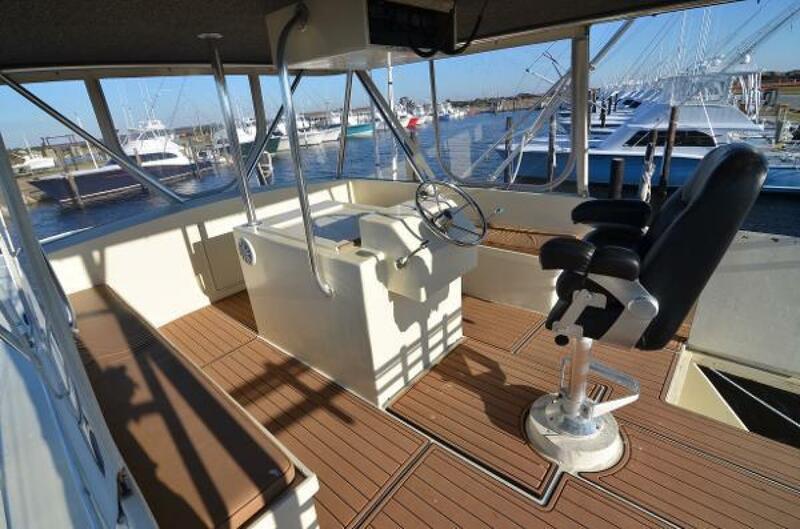 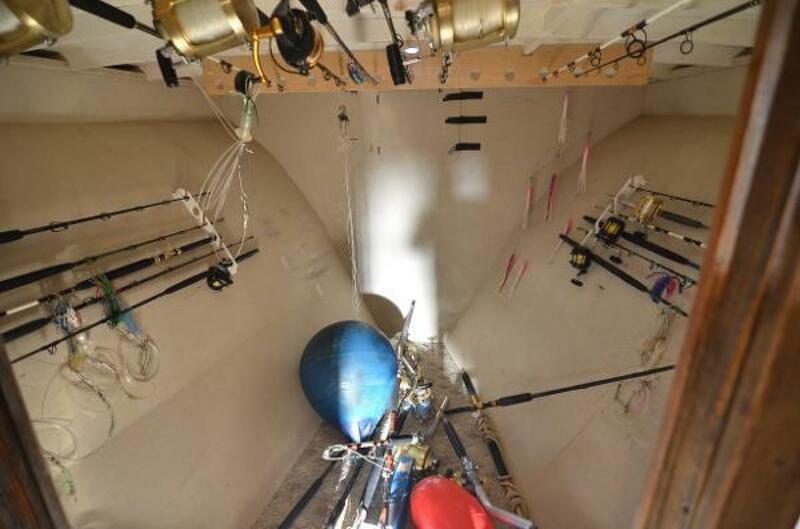 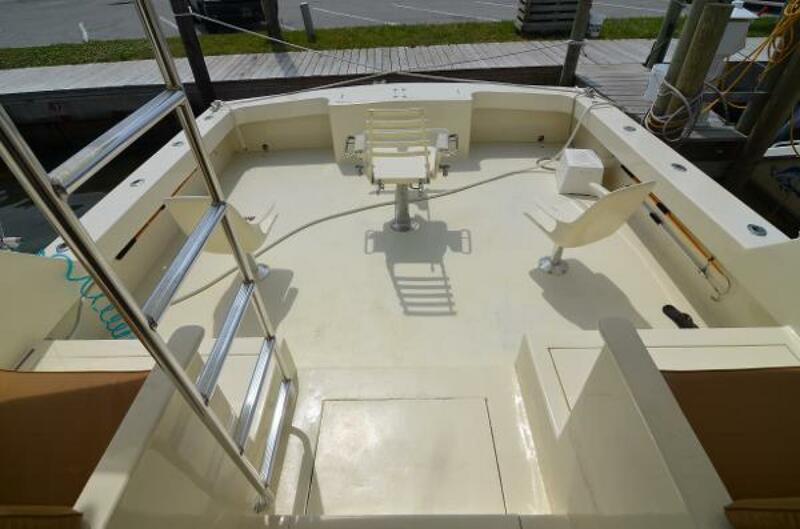 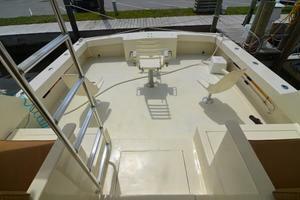 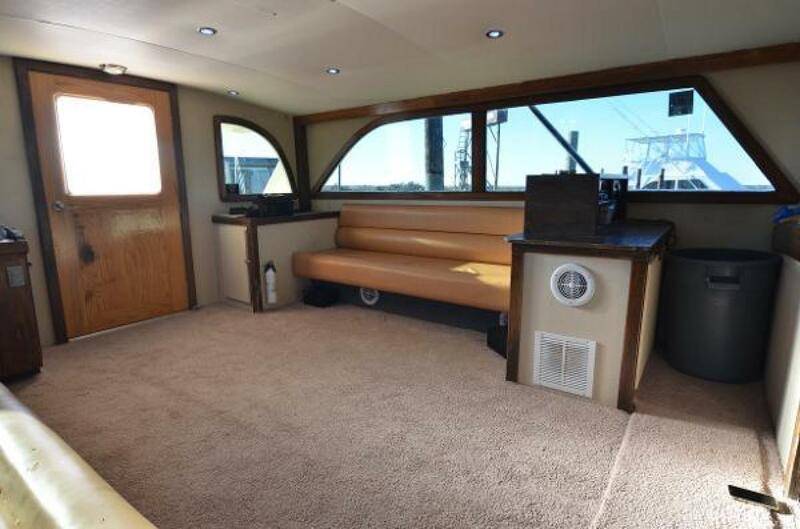 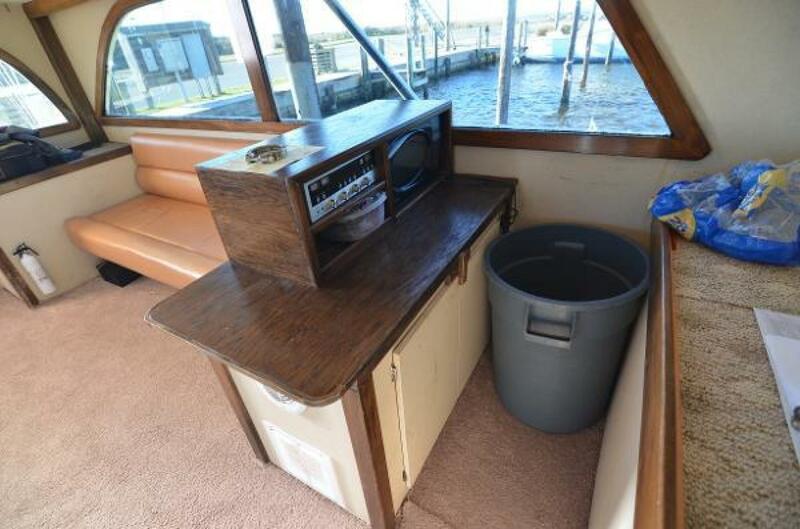 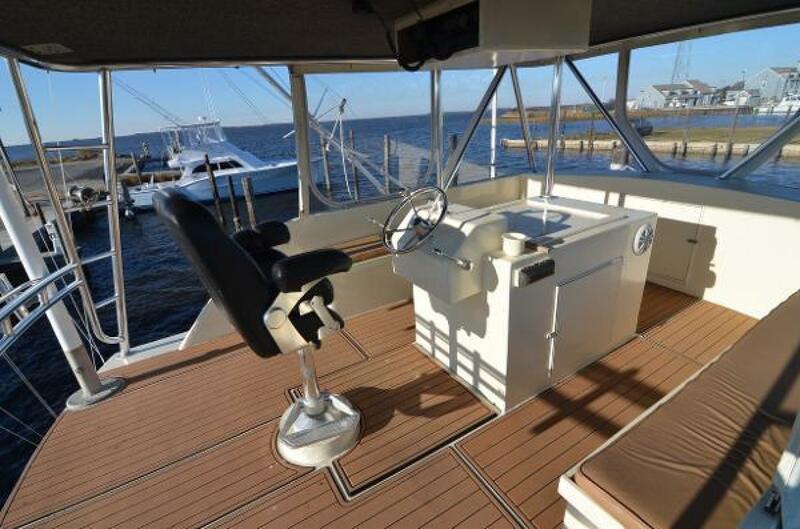 Huge cockpit with mezzanine seating, coolers, and a transom kill box. 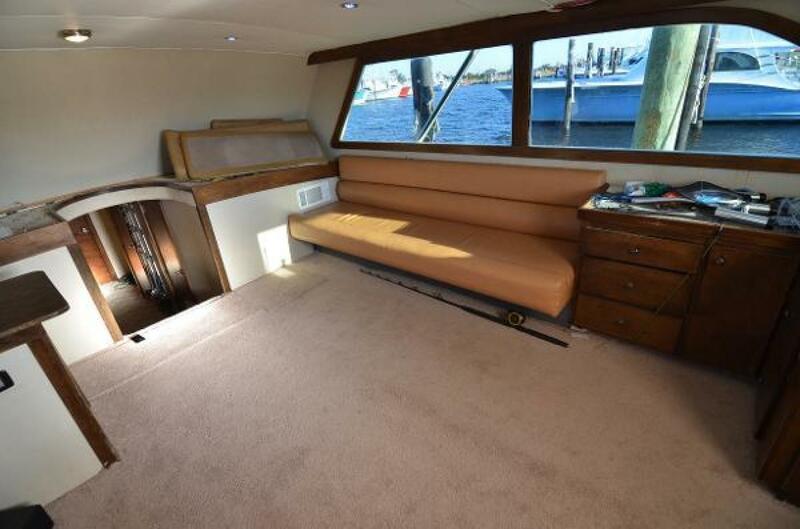 The open salon has two sofas and a tackle center. 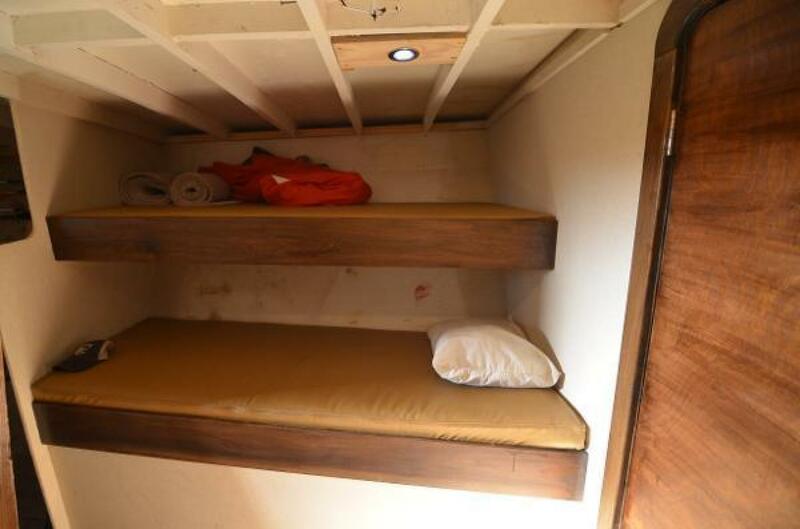 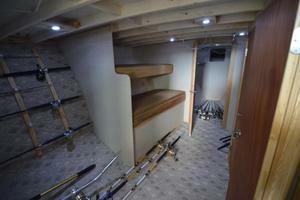 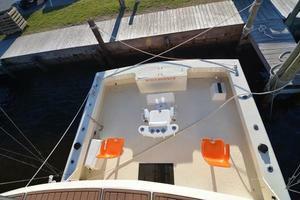 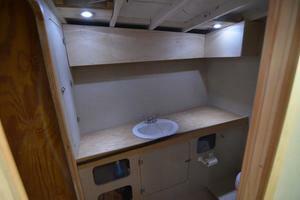 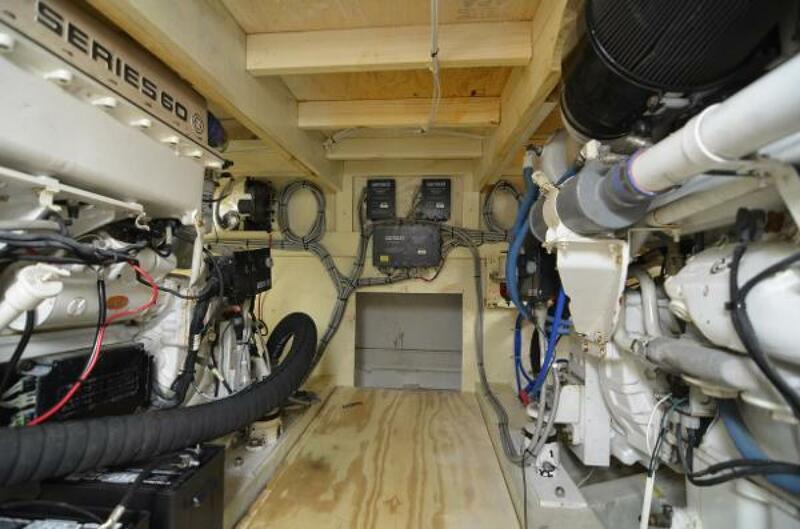 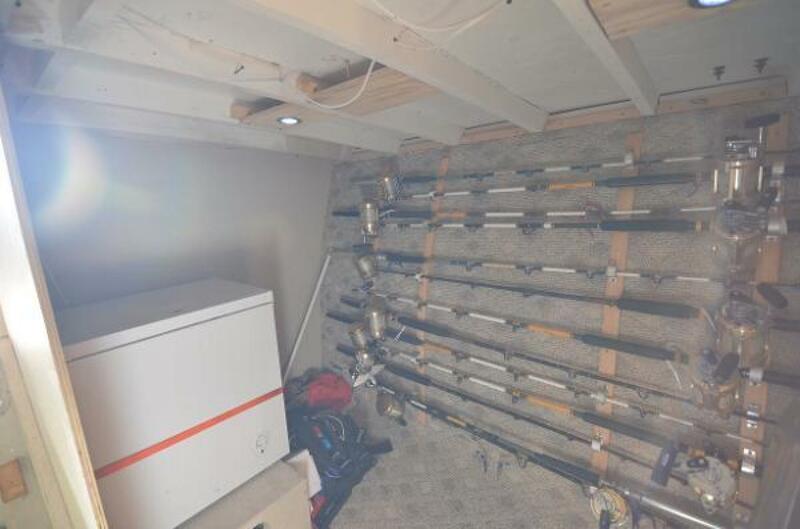 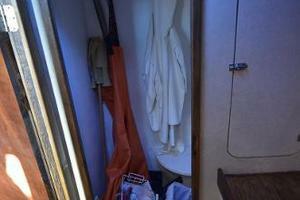 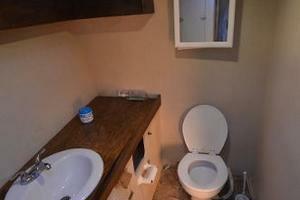 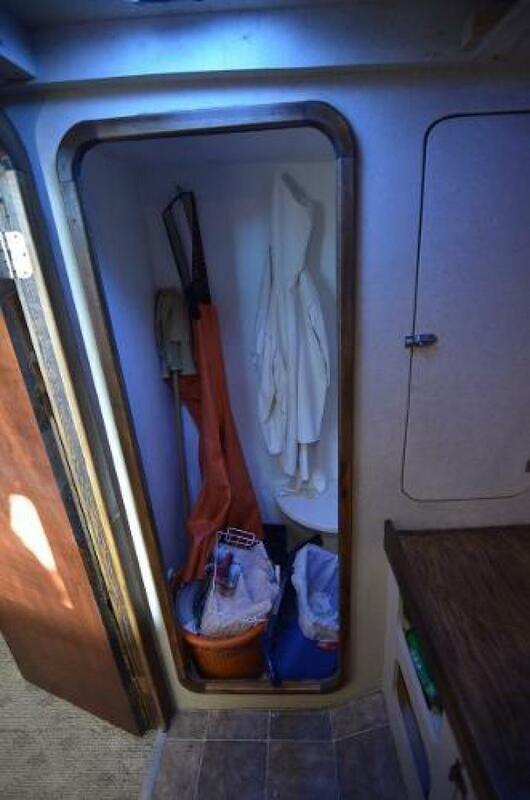 Down 3 steps you will find two bunks, with rod storage and a tackle room forward. 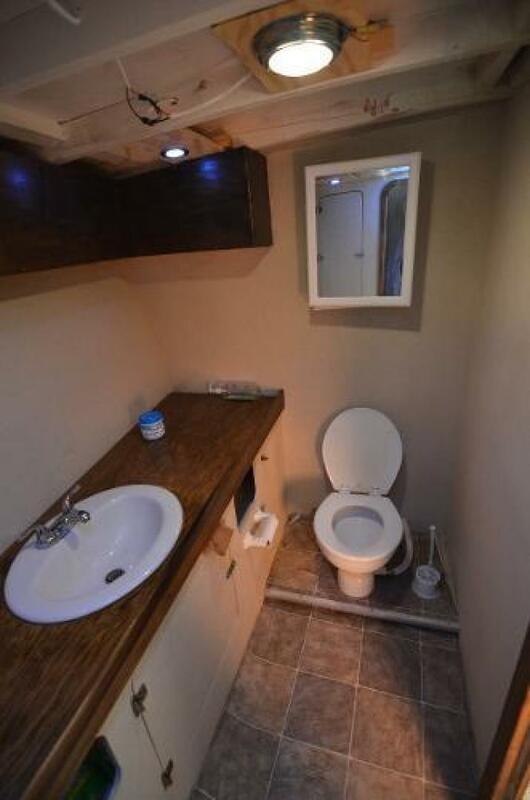 Spacious head to starboard. Although she has a cruise speed of 29 knots and a top end of 33K, the Wave Runner sips fuel at 20 knots, and burns 38gph at 24 knots. 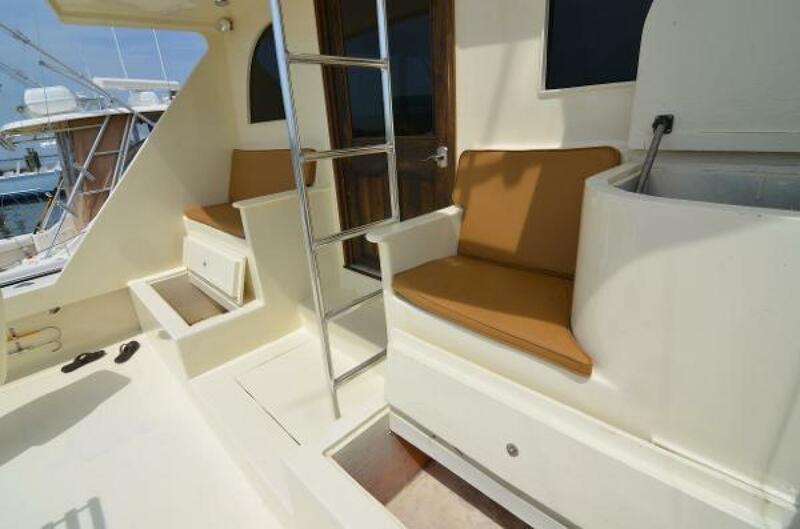 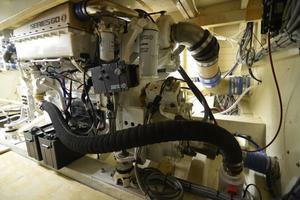 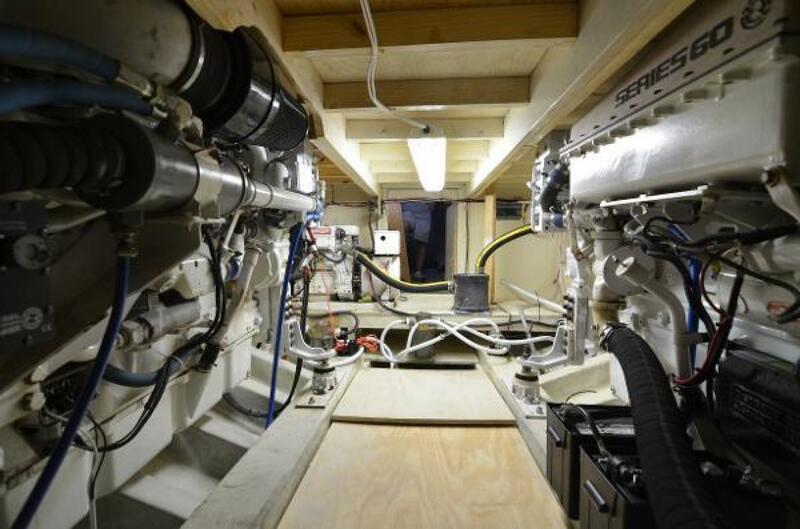 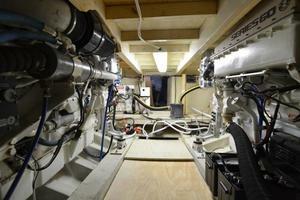 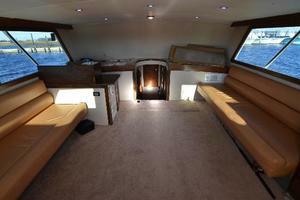 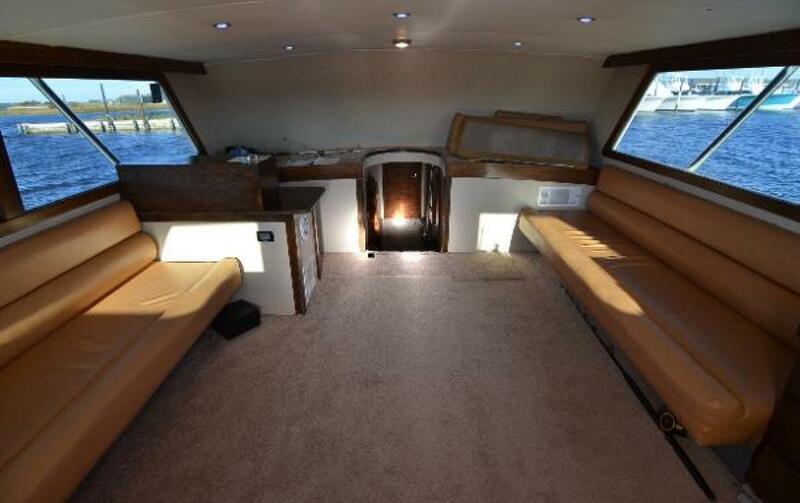 The interior is a basic charter setup with a massive salon and sofas for seating.